You can find a large selection of quality equine products for your horse. Take a look at this snaffle bit that we have in stock. 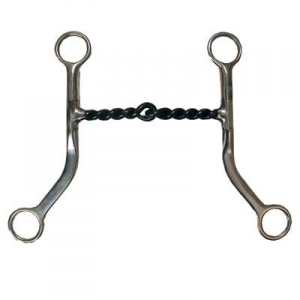 The Flat Shank Twisted Sweet Iron Mouth Snaffle Bit that we offer has 6'' shanks. The Twisted Mouth in this snaffle bit increases the impact of the bit. At Horse Tack Now, only the best flat shank snaffle bits are offered at discount prices.